Harrison Ford held his in two beyond excellent entries, and we won’t speak of the Chris Pine/Keira Knightley snooze-palooza from a few years back. Why then do I gravitate towards this Ben Affleck incarnation? Who knows. Battfleck himself makes an adequate, inquisitive Ryan, on the younger end of the rope and under the guidance of CIA Yoda Morgan Freeman. I think it’s the early 00’s tone of the film itself though, the whip smart editing, Bourne-style escalation of suspense and terrific ensemble cast, a hallmark among Clancy films. Affleck embodies a younger, inexperienced Ryan whose infamous intuition is just breaching the surface of his character, right on time for a deadly plot to set off a nuclear device on American soil. A German radical (Alan Bates, underplaying evil nicely) with vague ties to a Neo Nazi faction is cooking up a false flag attack against Russia, using a long dormant warhead supplied by arch mercenary Colm Feore. Or at least I think that’s the crux of it, these cloak and dagger affairs can get pretty dense on you sometimes. There’s a sense of global danger though, a level of stress that ratchets up until even the stoic US President (an explosive James Cromwell) begins to lose it. 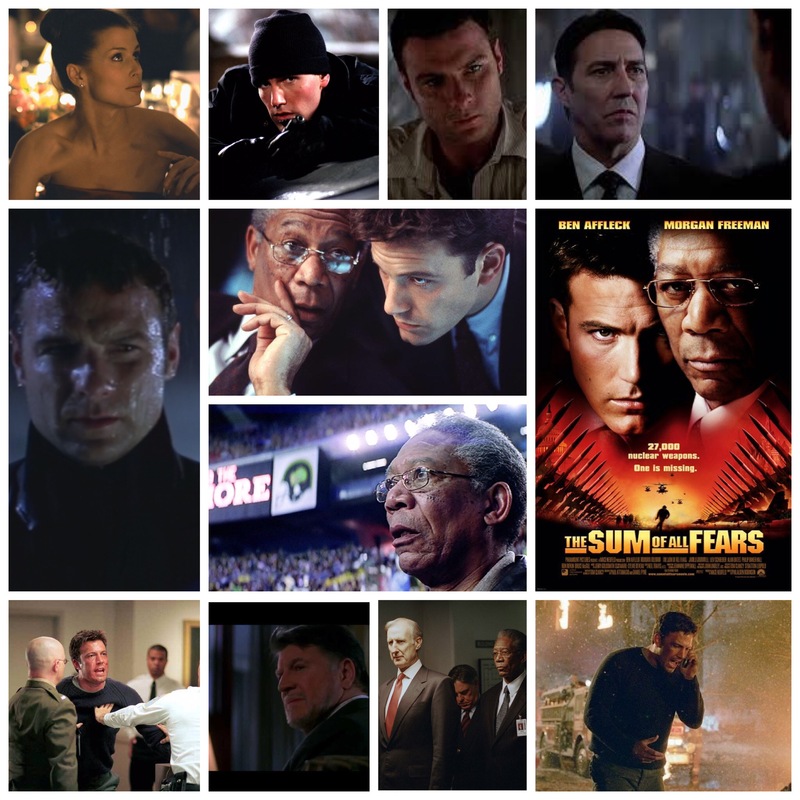 The Russian President (Ciaran Hinds) gravely tries to sort out the misunderstanding, whilst Clancy staple character John Clark (Liev Schreiber gives Willem Dafoe a run for his money) covertly smokes out conspirators. Unease and tension nestle into the narrative, and when that impending disaster is minutes away during a hectic NFL game, you can feel the suspense in the air. The supporting cast is rich with talent including Michael Byrne, Bruce McGill, Philip Baker Hall, Josef Sommer, Ron Rifkin, Lisa Gay Hamilton and gorgeous Bridget Moynahan as Ryan’s fiancé. I’ve got nothing but love for Red October, Patriot Hames and Clear & Present Danger, but something about this one hit a frequency and resonated with me a little better, coming out on top as the most re-watchable, enjoyable entry.